Summer isn’t the only time to embark on a North Carolina beach vacation! In addition to stunning coastal palettes, pleasing temperatures, and a laid-back beach vibe, you’ll also find family-friendly local events, festivals and attractions to enjoy that stretch beyond just the summer months. Just minutes away from Susnset Beach is Ocean Isle beach, host of the North Carolina Oyster Festival. Annually on the third weekend of October, the North Carolina Oyster Festival is a Sunset Beach and Ocean Isle Beach favorite of both residents and vacationers alike. This two-day event offers fun for the entire family and includes a festival that combines mouth-watering food, live beach music, coastal arts and crafts vendors—and lots and lots of oysters, of course. 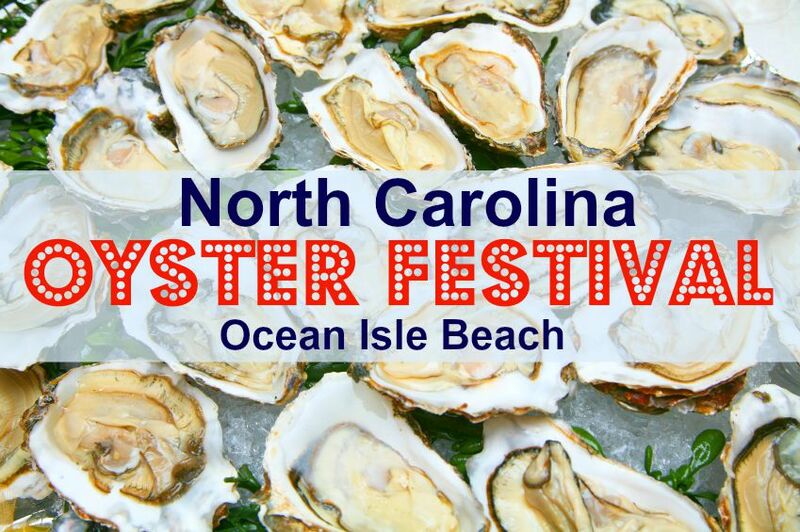 The North Carolina Oyster Festival has been an Ocean Isle Beach tradition for over 30 years, and it just keeps getting better and better. The festival draws over 45,000 people annually, so it’s kind of a big deal. The festival is steeped in maritime history with a focus on North Carolina fishermen and the importance of shopping and buying locally sourced seafood. The community support and hard work of those involved is evidenced by the success of the NC Oyster Festival year after year. Hosted by the Brunswick County Chamber of Commerce and the local businessmen and women who serve on the festival committee, the camaraderie and cooperation extend well beyond the confines of the festival. Like any local favorite, there are some much-anticipated highlights of the NC Oyster Festival that festival-goers look forward to year after year. Beyond the good food, amazing arts and crafts, the kids’ area, and the local and regional live musical entertainment, there are some special events you won’t want to miss. 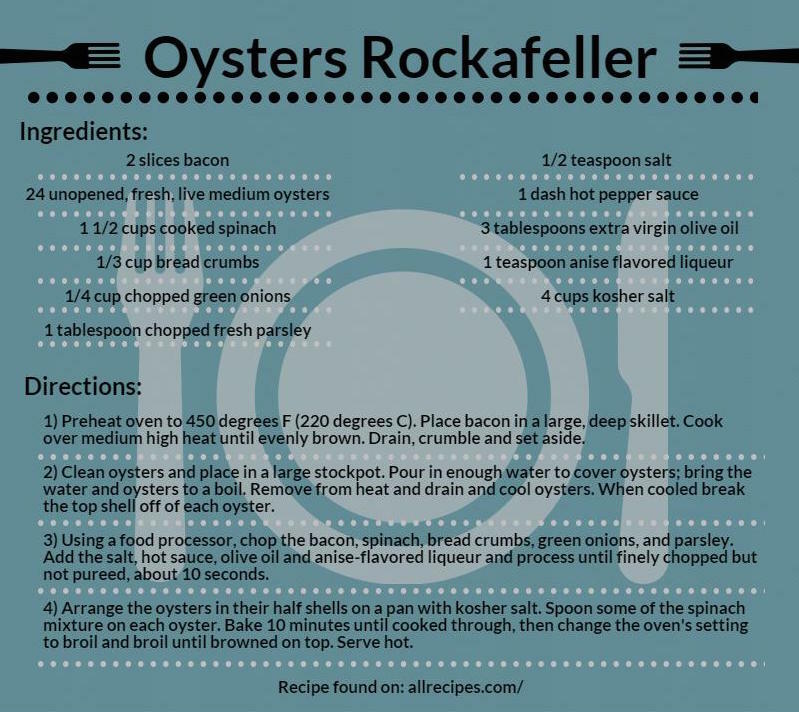 The Oyster Eating, Oyster Stew Cook-Off and Oyster Shucking contests are entertaining for both contestants and audiences alike. 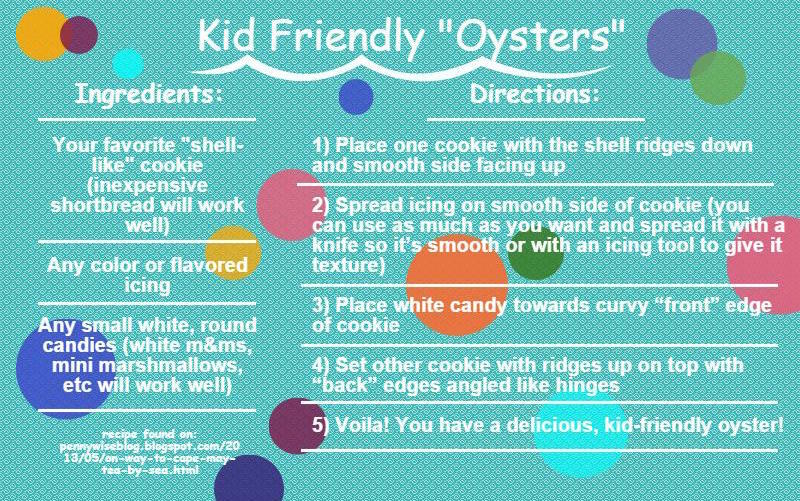 Why not try your hand at one or more? Other big events that coincide with the NC Oyster Festival include the Shaggin’ Oyster Contest, Road Race (5K, 10K, and 1-mile fun run), and the Muddy Oyster Challenge obstacle course. A visit to the North Carolina Oyster Festival would not be complete without stopping by to see Ozzy the Oyster, the festival’s beloved mascot and oyster aficionado. Bring home a festival memory by taking advantage of the photo-op with Ozzy himself at the photo booth. Oysters hold the spotlight during this festival, but just because you may not like seafood doesn’t mean you shouldn’t come. Just the opposite! Yes, you can eat your weight in steamed or fried oysters if you’d like, but you can also find a variety of palate pleasers like BBQ, pizza, ice cream, crab cakes, specialty desserts, refreshing beverages and all of your favorite festival foods. Come hungry! It’s a busy time of year in Ocean Isle Beach when the Oyster Festival comes to town, but rest assured that Sunset Vacations offers the same seasonal rates without any spikes or increases in your Sunset Beach vacation rental pricing. You can still enjoy your stay without an added strain on your wallet, and attend the Oyster Festival too. 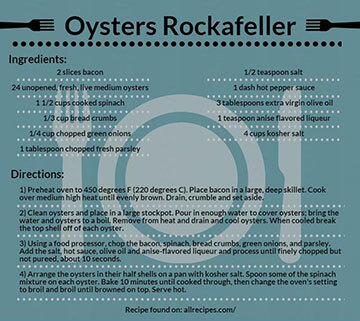 All this talk of oysters tends to result in seafood cravings, particularly of the oyster variety. Check out these oyster recipes that you can try at home until you get your fix at the NC Oyster Festival. Enjoy!